Villwock was the H1 Unlimited National High Point Driving Champion in 2011, scoring wins in the Ellstrom family’s Spirit of Qatar at the APBA Gold Cup at Detroit, the Lamb-Weston Columbia Cup at the Tri-Cities and the Bill Muncey Cup at San Diego Bayfair. He ended that season with 65 career victories, surpassing the late Bill Muncey, who accumulated 62 victories between 1956 and 1981, and the retired Chip Hanauer, who won 61 races between 1979 and 1999. 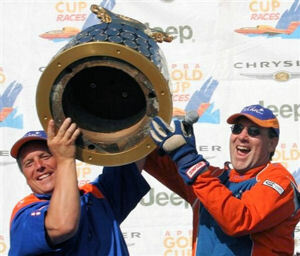 In 2012, Villwock took the checkered flag in the season opener at Madison, Indiana and the APBA Gold Cup in Detroit, the tenth time his name has been added to the historic trophy, raising his career total to 67 wins. Prior to his involvement as a crew chief and driver in the unlimited ranks, Villwock was one of the top drivers and engine builders in inboard hydro and flat-bottom racing. In 1989, he became crew chief of Miss Circus Circus – driven by Hanauer. He quickly learned the fine points of tuning hydroplane hulls and propellers and managed the team to the 1990 National Championship. 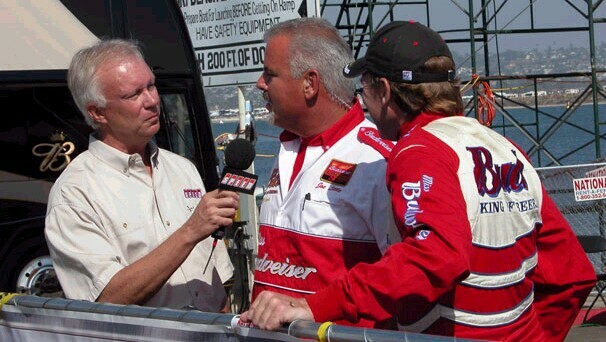 While acting as Hanauer’s crew chief, Villwock qualified for his unlimited driver’s license and at San Diego in 1992, made his debut as an Unlimited driver with an experimental two-wing boat, owned by Ron Jones, Jr. Villwock scored an upset victory and, in so doing, became the first driver since Howie Benns in 1974 to win his first-ever Unlimited race. After winning the Gold Cup and the national championship in Fred Leland’s PICO American Dream in 1996, Villwock was hired by Bernie Little to pilot the legendary Miss Budweiser. That combination of boat and driver would win 37 races, four Gold Cups, six national championships, and set a world straightaway kilo record. The end of the Budweiser era did not mark the end of Villwock’s remarkable career. As driver of the Spirit of Qatar (formerly Ellstrom Elam Plus) he continued to be one of the most dominant drivers in the history of the sport, adding 22 victories, five more Gold Cups and two National Championships to one of the greatest resumes in the history of boat racing.